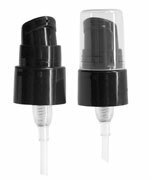 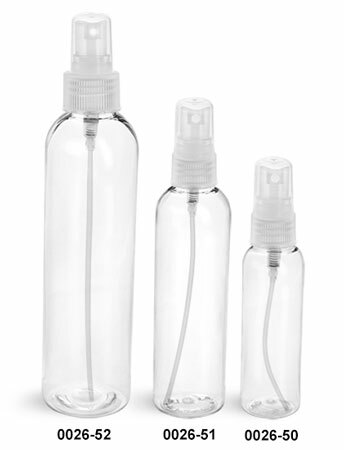 These clear PET cosmo round bottles come with natural plastic fine mist sprayers and clear overcaps. 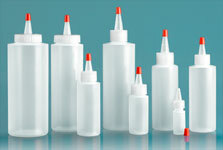 Available in three sizes, these plastic bottles could be an excellent choice for any product that needs to be applied by misting. 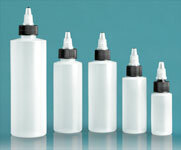 Look below to buy in kits or in bulk quantities.